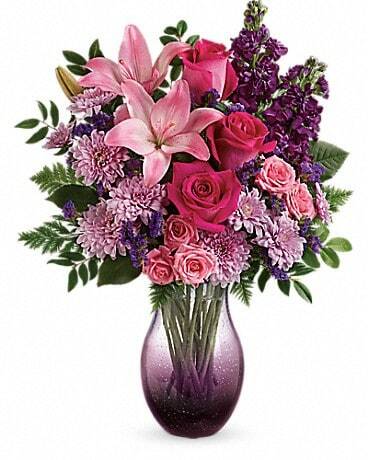 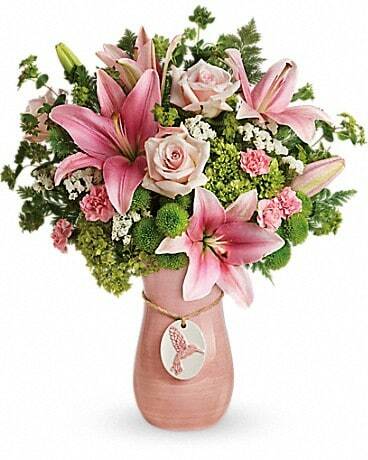 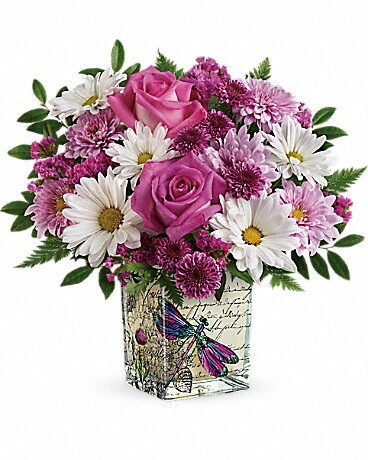 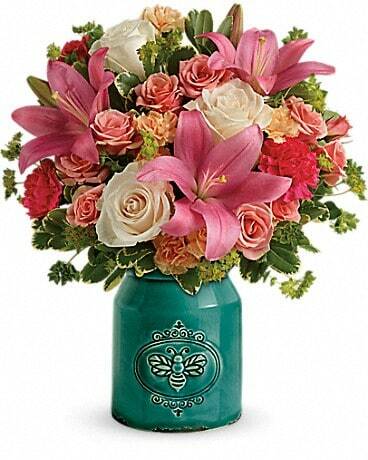 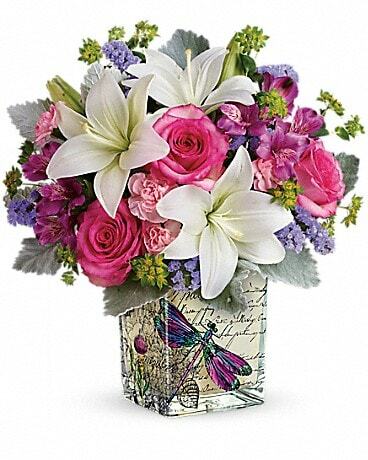 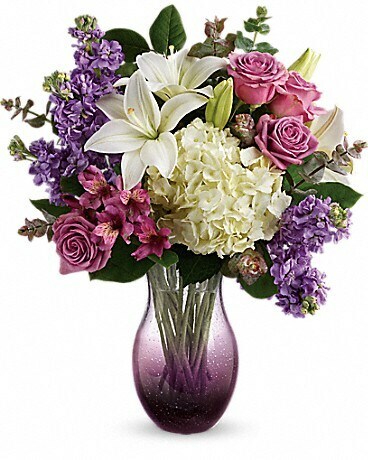 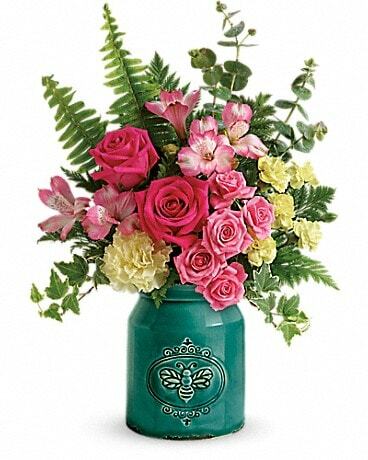 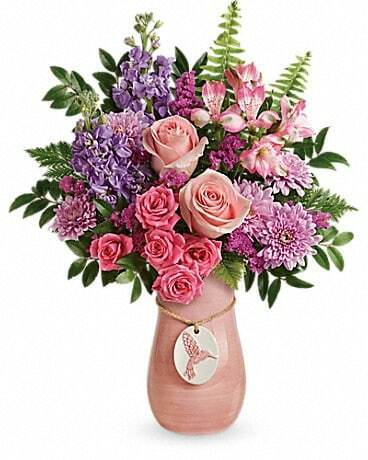 Celebrate mom for the true treasure she is with this incredible keepsake, filled with a luxurious lily bouquet. 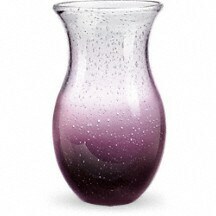 Hand-blown in bubble glass, the one-of-a-kind ombre vase will be a décor favorite for years to come! 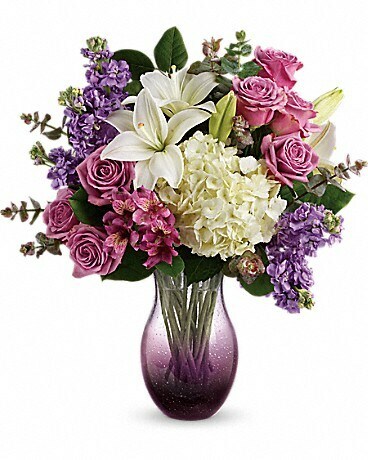 Available exclusively from Teleflora, this unique and one-of-a-kind, hand-blown, bubble-glass vase with a purple ombre design is the perfect gift for every Mom this Mother's Day!